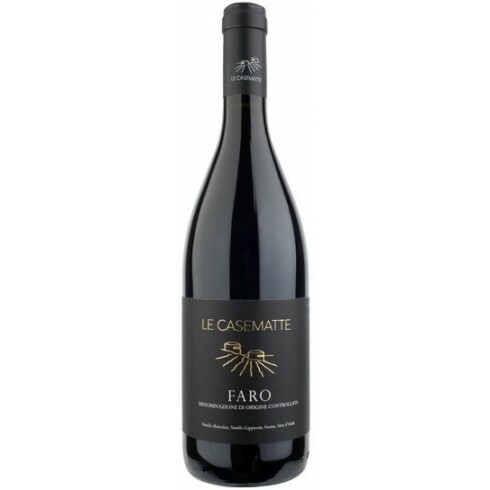 2013 Faro Rosso a beautiful highly rated red wine from the young and ambitious Sicilian winery Le CaseMatte. A true Sicilian wine made only from indigenous grapes grown on slopes near the Strait of Messina. The vines for the Faro Rosso grow in the Le CaseMatte vineyards on terraced hillsides stretching up 500 meters altitude and enjoy northern exposure and look out on to the sea. The winds from the Ionian and Tyrrhenian seas come together over the Strait of Messina, to create a special microclimate for favourable temperature swings between night and day. The grapes were manually harvested, sorted, and destemmed followed by the alcoholic and malolactic fermentation in stainless steel tanks. 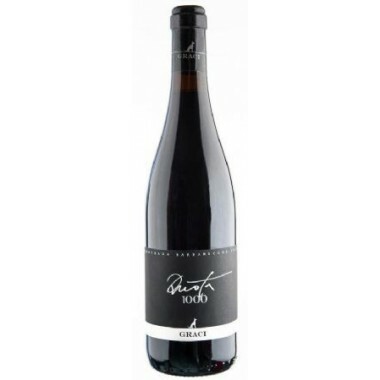 The wine was aged for 9 months in French oak barrels and a further 6 months in the bottles. Bouquet: The nose opens with pleasant sensations of ripe red fruit, enriched with notes of pepper and nutmeg. Taste: Great equilibrium, fruity, with dense and elegant tannins. The wine has a long and persistent finish.